It has been written to suit courses with an intake from a range of educational backgrounds, and a minimum of prior knowledge is assumed. Higher Electronics has been written to be fully in line with units 8-12 of the new BTEC Higher National specifications from Edexcel. 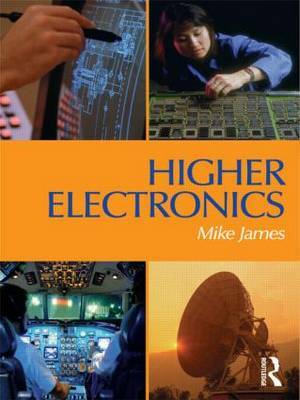 This makes it the text of choice for all students following an electronics / electrical pathway through an HNC or HND. The student-centred text is ideal for the new course, and follows on especially well for students from a GNVQ background. The style and approach of Higher Electronics is consistent with the new text from Newnes, Higher National Engineering, which covers the mandatory units (units 1-7) of the new Higher National scheme.